The Spires hope their home's solar system will keep their energy costs down. Until now, the thought of putting up solar panels to help power your home may have had you checking your bank balance or taking out a small loan. But several new incentives are now making green a reality. Homeowners Barbara Moreno Spires and her husband, David, are the first in Dallas to install a solar system under Oncor's incentive program. "Yes, it's my birthday present," she said. 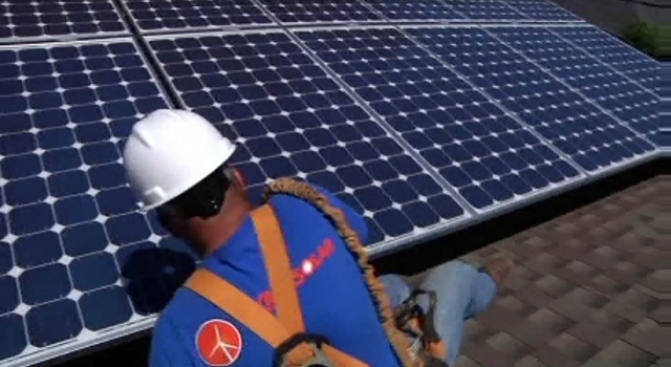 Installing solar panels on your home is now within reach. The Spires decided last fall to install a new solar system in the hope of keeping the energy costs inside their Lakewood home down. "For me, it's a realization of being able to take control of our family cost," Spires said. Being green and saving money isn't a new thing for the family. "We'd been interested in reducing our consumption a lot," David Spires said. "And before we even considered solar, we did several significant things like radiant heat barrier, attic insulation, reducing the pool pumps." 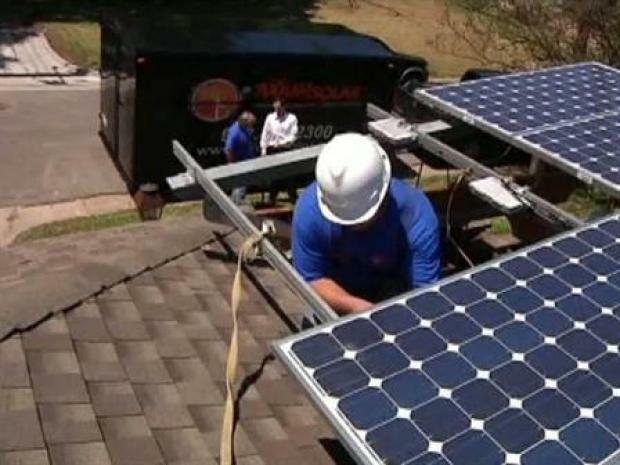 The new incentive program has allowed the North Texas family to fulfill their dream of putting in solar panels. "Oncor solar incentive program is designed to help the average consumer who is interested in solar power make that jump," said Carol Peters, of Oncor . Combine the Oncor incentive with a similar federal government program, and cost of a new solar system is about a third of what it used to be. "I'm excited about it, because it's really come together with all of the rebates, and we are being able to take advantage of those," Barbara Spires said.